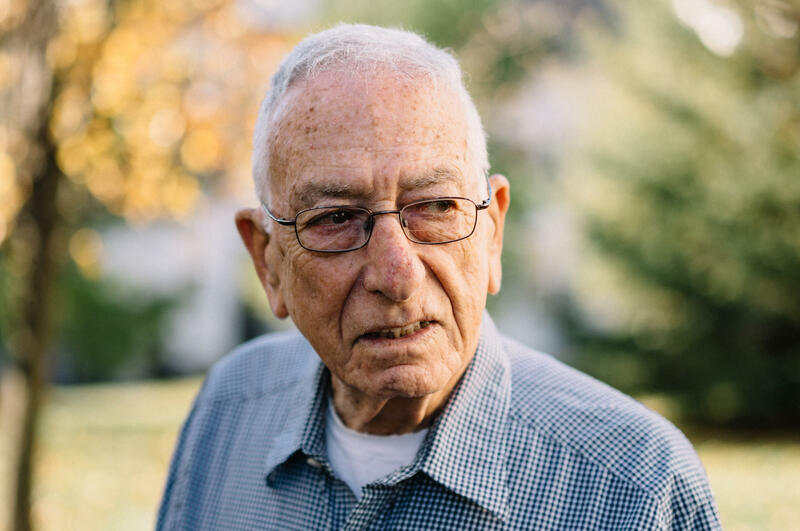 When Morton Pollner was diagnosed with lung cancer at age 76, he thought it was a death sentence. It's been seven years since Pollner had surgery for lung cancer. He's now 82 and takes Tai Chi classes three times a week at the local synagogue. Morton and his wife Joan Pollner are both enjoying life. Every year when Morton Pollner had his checkup, he worried that doctors would find something on his lung. For years, they didn't. Then his luck ran out. "My reaction was, 'Well, you smoked for 30 years. You got away with it for another 30 years and this is it.' I thought it was a death sentence," he says. Pollner, who lives in Monroe, N.Y., was 76 when he was diagnosed with lung cancer. Like many patients his age, he didn't expect there would be any effective treatment. Lung cancer is the second most common cancer in men and women. And it is mainly a disease of older people. Only about 2 percent of lung cancer patients are under 45 and the average age at diagnosis is about 70. Older patients are frequently not offered curative treatment like surgery, because they and their families and even their doctors often think they won't be able to tolerate it. So they are referred for supportive care to control symptoms, rather than surgery to remove the cancer. But many patients can survive and even thrive after surgery, says Dr. Prasad Adusumilli, a thoracic surgeon at Memorial Sloan Kettering Cancer Center in New York. He was senior author of a study published in the Journal of Clinical Oncology in October. The study looked at more than 2,000 patients with Stage 1 non-small cell lung cancer who had surgery to remove their tumor. About 70 percent of the patients were 65 years old or older and about 30 percent were at least 75. And he found that a surprising number of these older patients did quite well. One year after surgery, more people had died from other causes than died from lung cancer. And, after five years, almost 9 out of 10 patients were alive and cancer free. 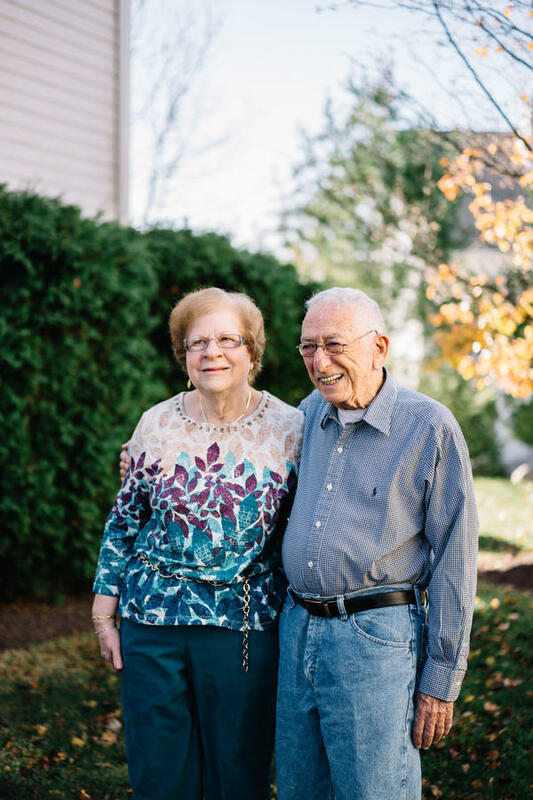 "They did well and beat their lung cancer," Adusumilli says, proving that when it comes to surgery for early stage lung cancer, age should not be a limiting factor. This was the case for Morton Pollner, who is one of Adusumilli's patients. His cancer had not spread, and Adusumilli told him there was a good possibility the cancerous tissue could be completely removed and he could go back to leading a normal life. That was seven years ago. Today, Pollner is 82, cancer free and enjoying life. "Whatever I get from here on, it's like gravy," he says. Surgery isn't the answer for all older lung cancer patients, according to Dr. Len Lichtenfeld, deputy chief medical officer of the American Cancer Society. Patients with heart or other health problems may not be candidates. At the same time, he says it's important to recognize that patterns of aging have changed over the past two decades. Seventy today is not the same as it was 20 years ago, Lichtenfeld says. Older adults are more functional, both physically and mentally, than ever before, and he says the medical community needs to adjust its thinking about what treatments older cancer patients can tolerate. "We shouldn't allow numerical age to be the deciding factor," Lichtenfeld says. Now let's talk about one struggle for many older people - lung cancer. The average age at diagnosis is 70. And frequently, these patients are not offered surgery as a treatment. Well, now a study from Memorial Sloan Kettering Cancer Center in New York finds that surgery can be successful for the majority of older patients. Here's NPR's Patti Neighmond. PATTI NEIGHMOND, BYLINE: Every year when Morton Pollner had his checkup, he worried doctors would find something on his lung. For years, they didn't. Then, he says, his luck ran out. MORTON POLLNER: My reaction was, well, you smoked for 30 years. You got away with it for another 30 years, and this is it. I figured it was a death sentence. NEIGHMOND: But it turns out Pollner was still in luck. The cancer had not spread. And at Memorial Sloan Kettering Cancer Center, doctors offered to do surgery. POLLNER: There was a very good possibility that after this surgery I'd be able to lead a normal life. And it's worked out. NEIGHMOND: That was seven years ago. Today, Pollner's 82 and cancer free. His surgeon, Dr. Prasad Adusumilli, says older patients frequently aren't offered surgery. In part, he says, that's because of a mindset that lung cancer, even in early stages, is a death sentence. PRASAD ADUSUMILLI: The patient is elderly. So both the patient, all the family members and the referral physician may think that patient may not tolerate surgery. NEIGHMOND: And so they get referred for supportive care to control symptoms but not to cure the cancer. In a study, Adusumilli looked at more than 2,000 older patients with early stage lung cancer. He found a surprising number did quite well after surgery. ADUSUMILLI: Even at five years, almost 9 out of 10 patients are alive, and they're free of lung cancer. ADUSUMILLI: Now, surgery isn't necessarily the answer for all older lung cancer patients. Those with heart conditions or other health problems may not be candidates. Even so, Adusumilli's findings show when it comes to surgery for early stage lung cancer, age should not be the limiting factor. ADUSUMILLI: Lung cancer surgery can be done safely on these patients, and they did well and they beat their lung cancer. NEIGHMOND: Beating lung cancer sounds almost unreal for patients like Morton Pollner who had thought his time was up. POLLNER: Whatever I get, it's like gravy. 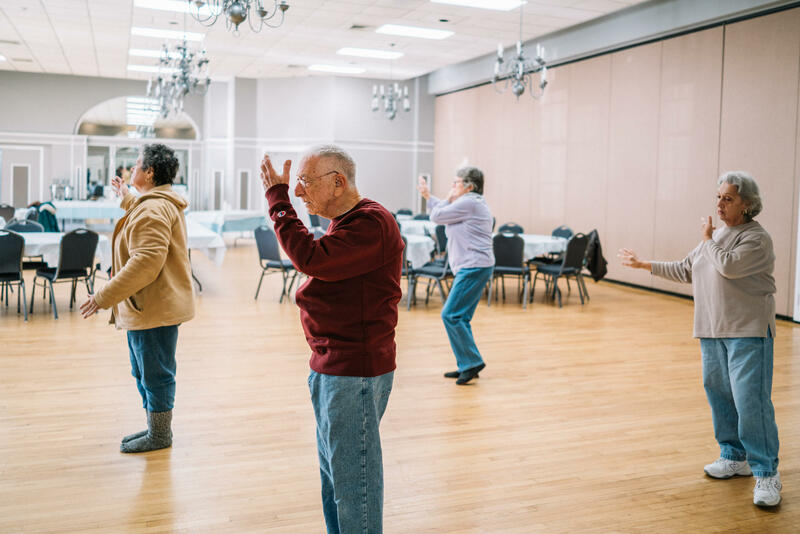 NEIGHMOND: The findings of the study are especially important considering increasing lifespans and the growing number of older people in the U.S. Patti Neighmond, NPR News. Transcript provided by NPR, Copyright NPR.